We are fortunate that the weather in Spring is quite mild when compared to the rest of the country. The nation averages 39 inches of rain per year. Spring residents are blessed with 51 inches of rain annually. All that rain creates the perfect storm for floods. No matter what the weather reporters say, there’s always a hard-headed soul determined to force their way through the mud, wind and rain with an SUV or pick up truck. You know what they say, ‘A hard head makes for a soft behind.’ Every year during hurricane season, our team works twelve hour days winching people from ditches, mud and embankments. Winch systems are not new technology. Winches were used in antiquity. They are rather simple technology that utilizes ropes, discs, gravity and mechanical force to lift heavy objects. Back in the day, the mechanical force was powered by people and animals. Today, we are fortunate to have mechanical engines and electricity to pull all manner of vehicles out of precarious situations. We use winches when a vehicle is located in a tight space and out of alignment with the tow truck. Winches are also used to pull a vehicle onto a rollout or flatbed truck. When presented with the conundrum of a stuck vehicle, contact Spring Towing & Recovery for precise winch out assistance. Winch out services are often used for overturned vehicles. Depending on the surface conditions and location of the vehicle, we may use airbags to upright it. If that is not possible, a heavy duty winch out is used to upright the vehicle and pull it out of its predicament. In these cases, damage to the side doors is inevitable. If the vehicle is already overturned, structural damage to the vehicle occurred prior to our arrival. Winch outs are the safest way to pull a vehicle to safety. In the past we have seen folks take matters into their own hands, using chains and heavy duty pick up trucks, friends, bystanders and even neighbors. All of these homemade tactics are damaging to the vehicle and dangerous for the parties involved. 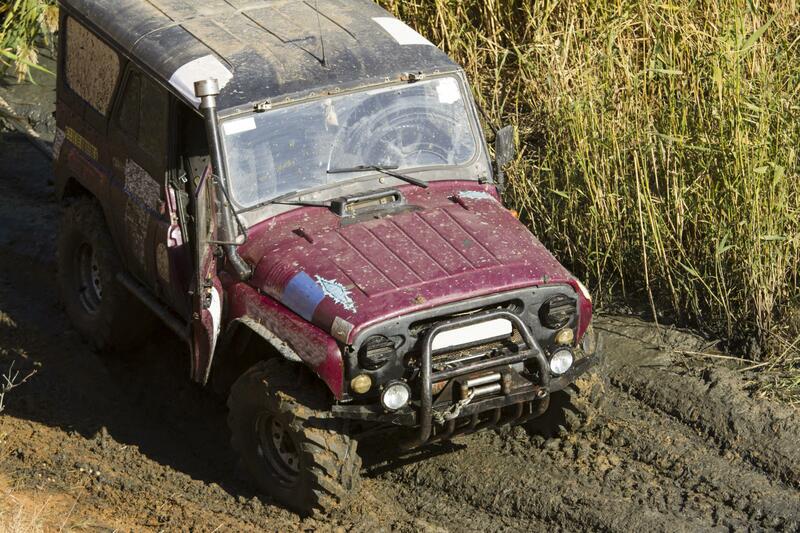 Winch outs are great for rescuing vehicles from mud, floods and ditches. Hurricane season is essentially winch out season. During a flood we are able to use the winch out system to pull vehicles to safety without endangering our tow operators or the tow truck. We place the tow truck on a solid surface, then hitch the steel cable to the stuck vehicle and let the motor do all the work. Without the use of a winch system, we would be unable to rescue vehicles from ditches. We were recently called to a residence in which a heavy duty pick up truck was stuck in the mud of a homeowner’s backyard. We were able to pull the vehicle out of the mud while the tow truck and winch were parked securely on the adjacent street. Winch outs are fast and safe. No one will get a herniated disc from a professional winch out. No one will have a tire haphazardly roll over their food during a winch out. Instead of spending 1 hour attempting to use brute force to remove a stuck vehicle, you could call Spring Towing & Recovery to use our winch out system. In less than 45 minutes, your vehicle will be freed. Once we receive the call, we will either send a medium or heavy duty flat bed tow truck to the rescue. The size truck will depend on the vehicle. Please be as specific as possible so that the tow operator can be adequately prepared.